Medical malpractice laws have been established to protect the public and ensure that patients always receive competent care. When a healthcare provider fails to provide proper care, patients may be entitled to receive compensation for any resulting harm. The experienced Raleigh attorneys at Kirk, Kirk, Howell, Cutler, & Thomas, LLP are here to help you fight for the compensation you deserve in order to cope with the pain, suffering, and expenses incurred when a healthcare provider fails to adequately diagnose a medical condition. 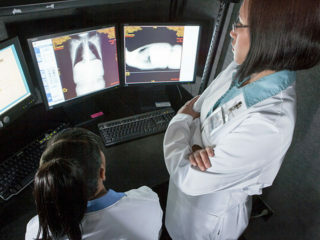 One of the most common reasons medical malpractice lawsuits are filed is what is often referred to as “failure to diagnose.” According to a report by the Institute of Medicine, most Americans will receive an incorrect or delayed diagnosis at least once in their lives, which equates to approximately 12 million people a year. Many of these diagnoses do not cause significant harm, but some can have serious and potentially permanent medical consequences including death. 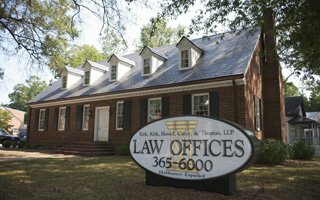 If you believe you have suffered harm from a health care provider’s failure to diagnose, it is important to contact the Raleigh medical malpractice lawyers at Kirk, Kirk, Howell, Cutler, & Thomas, LLP. When is Failure to Diagnose Considered Malpractice? A doctor-patient relationship was established. The relationship between doctor and patient is voluntary and usually entered into by agreement. Medical records showing the course of treatment administered could serve to prove the existence of a doctor-patient relationship. If a doctor is able to prove that the doctor-patient relationship was terminated prior to the alleged malpractice, the patient may not be able to claim that the doctor owed them a legal duty of care. The doctor breached the duty of care. This means the doctor made a mistake or failed to provide a diagnosis that a reasonably competent doctor would have provided under similar circumstances. The burden of proving what quality of care other reasonably competent doctors would have provided falls on the patient. This requires expert testimony. In fact, in North Carolina, before a malpractice lawsuit is filed, an expert must be willing to testify that the health care provider failed to treat the patient within the standard of care. We can help you identify an expert willing to review your case, and help gather all of your relevant medical records. The patient suffered significant harm, such as developing a more severe condition, disability, or even death. The subsequent harm was caused by the doctor’s mistake. Suffering from an adverse medical condition following an incorrect diagnosis is not necessarily grounds for a malpractice lawsuit. For instance, an extremely unlucky patient could get lung cancer after a misdiagnosed spinal injury. The two are not related. The doctor could only be held accountable if the misdiagnosis of the spinal injury caused the cancer. Was the Failure to Diagnose Caused by Negligence? Diagnostic errors can occur even at the hands of a highly skilled doctor using reasonable care. Doctors are human after all, and making a wrong decision does not necessarily constitute negligence. The question is whether or not the doctor acted competently. This involves evaluating the “differential diagnosis” method the doctor used to arrive at a diagnosis. Differential diagnosis is a system doctors use to identify a condition in a patient. After a preliminary evaluation of the patient, the doctor lists probable diagnoses in order of likelihood. The doctor then makes additional observations of the patient. This may include asking more questions, ordering tests, or referring the patient to specialists. Presumably this type of analysis would proceed until there was only one possible diagnosis remaining. To prove that a healthcare provider acted negligently, the patient must prove one of two things. The doctor failed to adequately research the viability of each diagnosis, and the correct diagnosis was incorrectly removed from the differential diagnosis list. It is possible that a doctor can do everything correctly in the diagnostic stage, but the condition can be incorrectly diagnosed through the fault of a third party. For instance, a doctor could receive inaccurate data from faulty diagnostic equipment. They could also receive samples or results that were compromised by the improper actions of a technician. In this case, the doctor may not be held accountable, but the party who caused the error may be. In rare cases, a health care provider may diagnose a patient with a condition that does not actually exist. If harm was suffered as a result of unnecessary treatment, the patient may be entitled to compensation. Again, receiving unnecessary treatment in itself is not grounds for a malpractice lawsuit. A patient must be able to prove injury from the unnecessary treatment. This may be in the form of stress, medical problems, or additional expenses. In an emergency setting, doctors can be under intense pressure and time constraints. Thus, the incidence of misdiagnosis tends to be higher. Combined with the serious nature of many emergency room injuries, a failure to diagnose is more likely to result in substantial harm to the patient. If you have suffered as a result of a misdiagnosis in a hospital emergency room, it is important to get advice from an experienced malpractice lawyer. A patient’s chance of leading a normal life and successfully recovering from disease or injury can depend on receiving a prompt and accurate diagnoses. If you have suffered significantly from a health care provider’s failure to diagnose, contact your Raleigh medical malpractice lawyers at Kirk, Kirk, Howell, Cutler, & Thomas, LLP today.